Words cannot start to express how important mothers are! Their love knows no bounds and, at one stage or another, they will go to the end of the earth and back for you. What better way to say ‘thank you’ to your Mum (or a Mum in your life) than with a piece of beautifully handcrafted jewellery? To help with your Mother’s Day celebrations on Sunday 11th March, here are a few gift suggestions that we think your Mum will adore! Many of these options can be customised in different ways to make them truly unique and meaningful. Call us at (01) 671 0103, e-mail us at shop@stonechatjewellers.ie or pop in to our shop in the Westbury Mall, Dublin 2, with any questions you have! 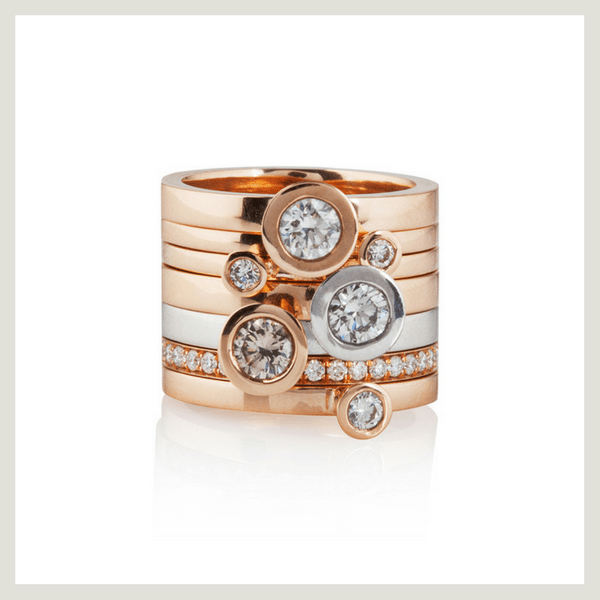 Skilfully handcrafted in 18ct rose gold, a single Aurora ring is a stylish statement piece. That said, there’s nothing to stop you from stacking a few together – more is more! Perhaps one to represent each family member? 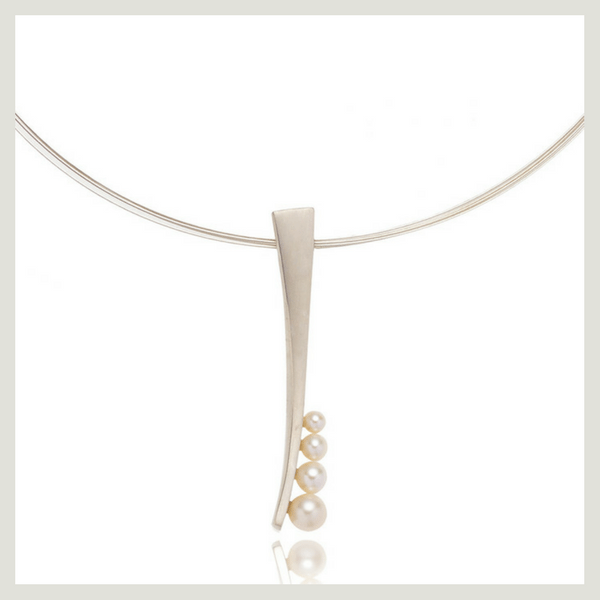 Elegant and understated, this silver and freshwater pearl pendant is perfect for any occasion. Handcrafted in our in-house workshop, the matte finish allows the lustre of the pearls to gently pop. You know what they say – diamonds are a girl’s best friend! 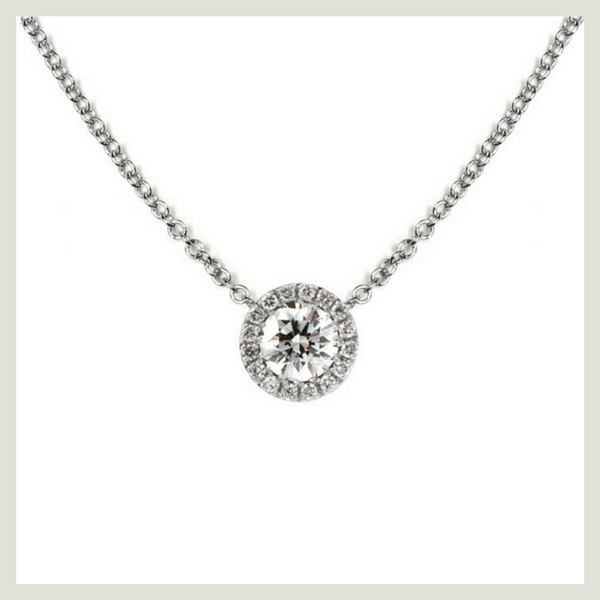 If you want to tell someone how grateful you are for all that they do for you, you can’t go far wrong with this beautiful 18ct white gold Flower pendant, handcrafted by Irish designer-goldsmith Michael O’Dwyer. The Juliet Collection presents wonderful variations on diamond bands. 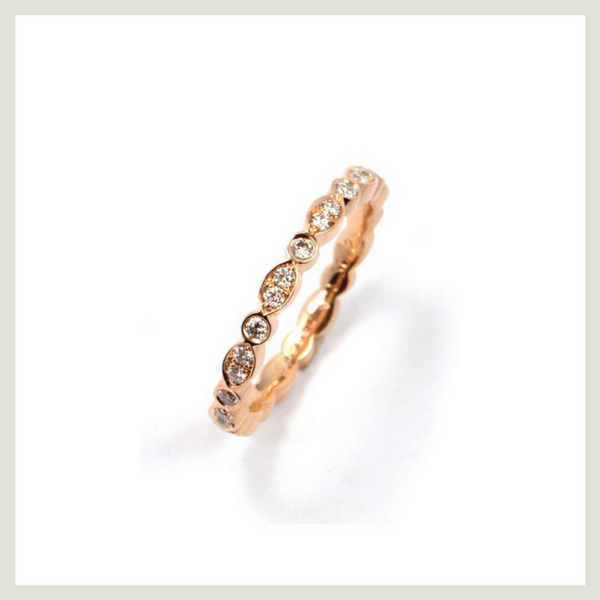 Each Juliet ring is easily worn beside another ring, on its own or combined with other pieces from the same range. 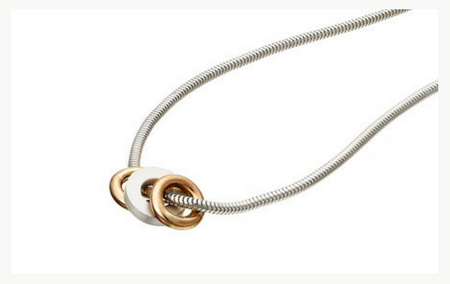 Made to size in 18ct white, yellow or rose gold, which one would the Mum in your life like? Handcrafted in silver and 18ct gold, these rings are so playful and so fun! 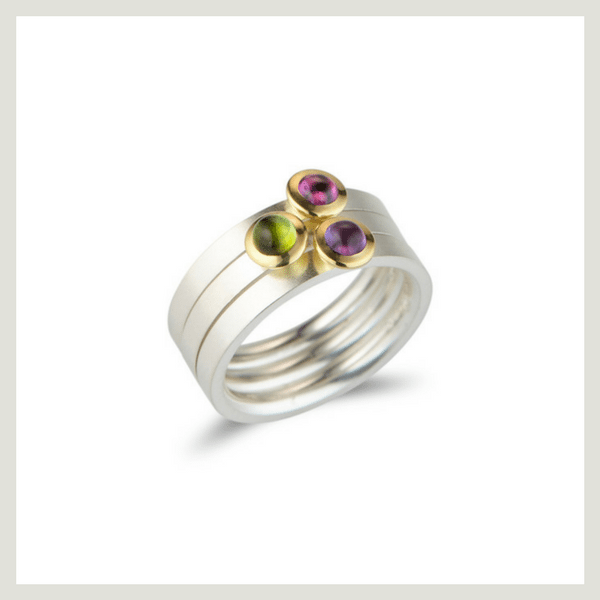 The Kaleidoscope collection captures all the colours of the rainbow and the rings can be worn individually or stacked together. Each child could pick their favourite colour or find their birthstones! 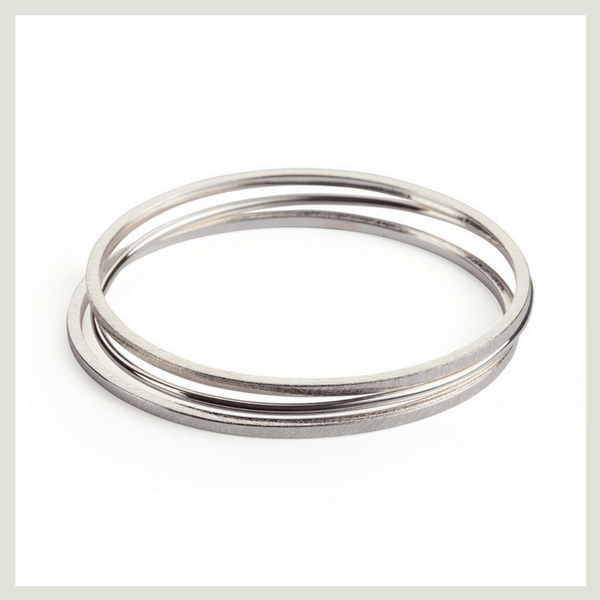 Made to size by hand, these silver stacking bangles are ideal for daily wear. Pared back and modern in design, they will work with practically any outfit – perfect for busy Mums who just don’t stop! A little shot of colour can work wonders! 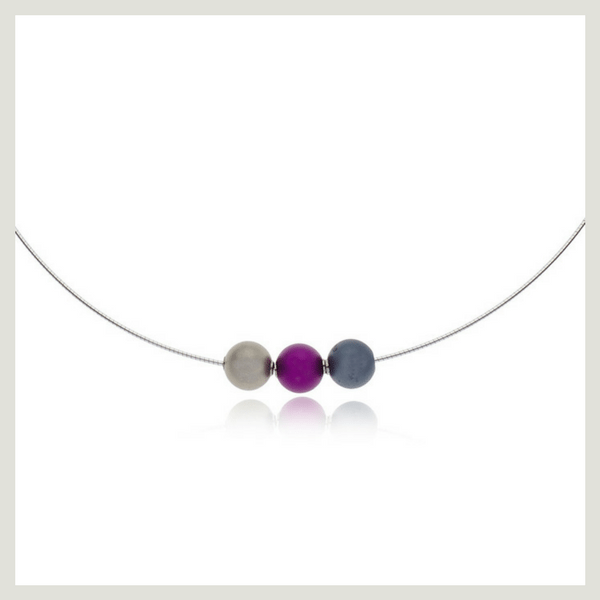 Worn on a fine silver neckwire, these bright spheres by Apero can be changed around, making this piece extremely flexible as it can be worn with a wide range of colours – talk about multitasking! If you really want to wear your heart on your sleeve (or your wrist) what about our lovely Tiny Hearts bracelet? Handcrafted in silver and 9ct rose gold, declarations of love don’t get clearer than this fine piece! Is the number 3 significant in your family? Three of you, or three children? 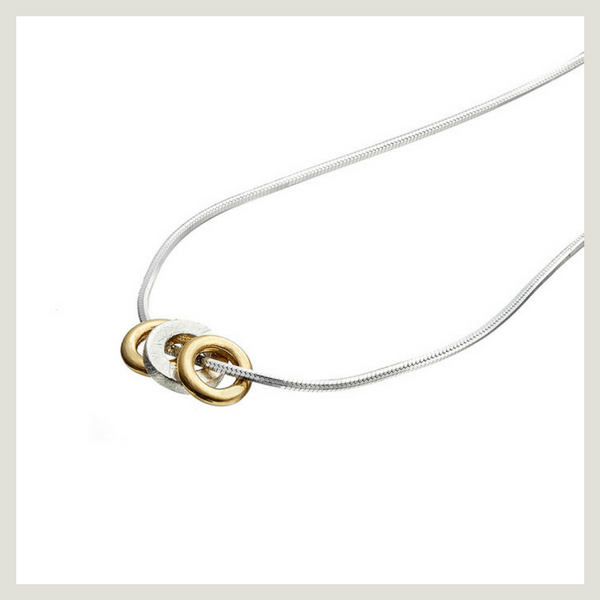 Handcrafted in silver and 9ct gold and perfect for everyday wear, the Trio pendant is a wonderful way to capture or represent your loved ones. Add more loops if you like. To make it even more personal, it is possible to get these engraved – with initials, names or dates! 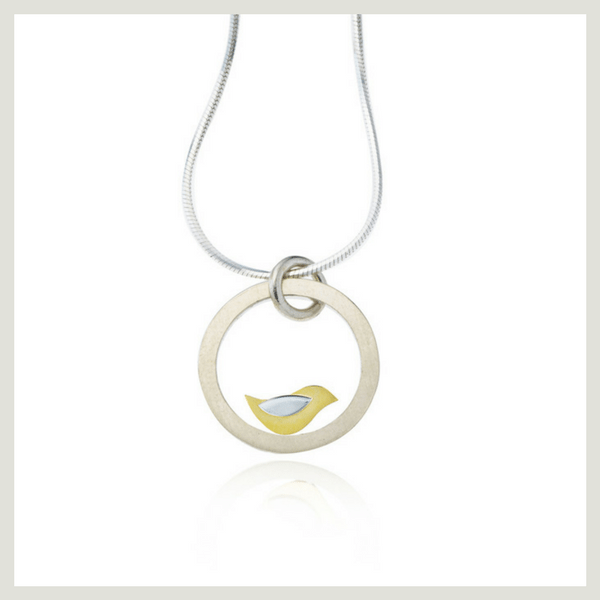 Who could resist a Birdie pendant? Inspired by the little known Irish Stonechat bird, which is similar to a robin in size, this necklace is handcrafted in silver and 22ct gold and worn on an 18 inch chain – just so lovely!